Nova is a “one finger” pinball on smartphone and tablet developed at Supinfogame Rubika for 3DDuo in one week. The studio gave us 3 specific constraints but the main was “Playable with only one input”. We made a pinball in which the player partially controls the ball. Indeed the ball always spins clockwise and when the player touches it, it goes in the direction it points at this moment. 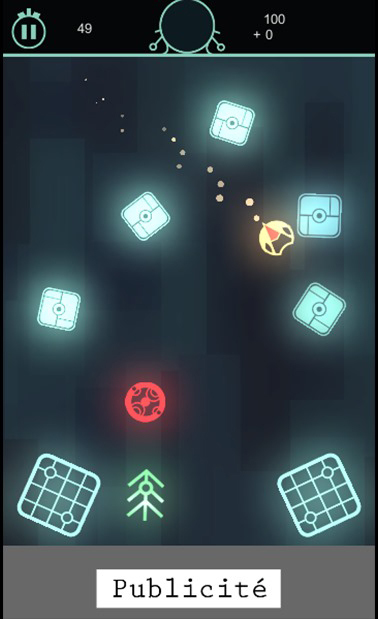 With this gameplay, the player musts collect all the targets, one after another, to reach the next level. All the levels are procedurally generated, one of our constraints being “endless gameplay”. You can find the prototype here (apk file).